Grant money in the amount of $17,955 is being used to build a visual and performing arts program at Westwood High School. Cecilia Allin, the English/ drama/ business teacher, and Molly Barber, the film/ photography teacher for the Career Technical Education program, worked together to select equipment that would be the most beneficial. The purchases were microphones that include a road mike and lapel microphones; 17 headphones, for individual film editing on the computers, and 17 tripods for cameras; new curtains for the stage at the Fletcher Walker Elementary school gymnasium; a projector to display backgrounds; and props. “Molly and I collaborated on a few things we wanted to use together next year such as a green screen. Drama will be able to create small videos for the school and community with the equipment we purchased,” said Allin. The Visual and Performing Arts grant came from the North State Arts Education Consortium. 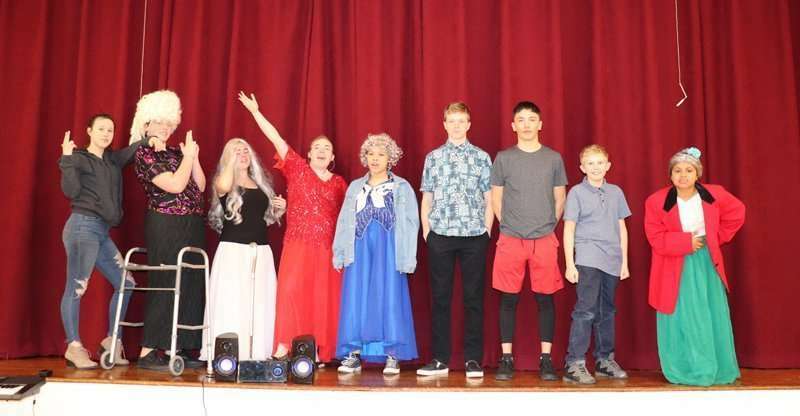 It was launched January 2019 by the Butte County Office of Education to enhance arts education in schools throughout northern California. It was funded by the California Department of Education for $2.8 million in grant money. Funds obtained by the consortium will be used for arts infrastructure and professional development for teachers. It represents more than 60 school districts and seven county offices of education (Lassen, Butte, Glenn, Modoc, Siskiyou, Tehama and Trinity). Courtney Russell, chief business official for the Westwood Unified School District, submitted the grant application for Westwood. According to Russell, the grant budget covers the cost of professional development training for Allin and Barber this summer in addition to the supplies and equipment to support the district’s arts programs. “The hope is that if we can get the grant again we can utilize it for the Kindergarten through eighth-grade students,” said Russell.